LOS ANGELES -- A judge ordered Johnny Depp to stay away from his estranged wife after she accused the Oscar-nominated actor of repeatedly hitting her during a recent fight and leaving her face bruised. Los Angeles Superior Court Judge Carl H. Moor also ruled that Depp shouldn't try to contact Heard until a hearing is conducted on June 17. Heard said in a sworn declaration that Depp threw her cellphone at her during a fight Saturday, striking her cheek and eye. She submitted a picture of her bruised face when she applied for a restraining order Friday. She also wrote that the actor pulled her hair, screamed at her and repeatedly hit her and violently grabbed her face. She said the actor was high and drunk when the incident occurred. "I live in fear that Johnny will return to (our house) unannounced to terrorize me, physically and emotionally," Heard wrote in a sworn declaration. 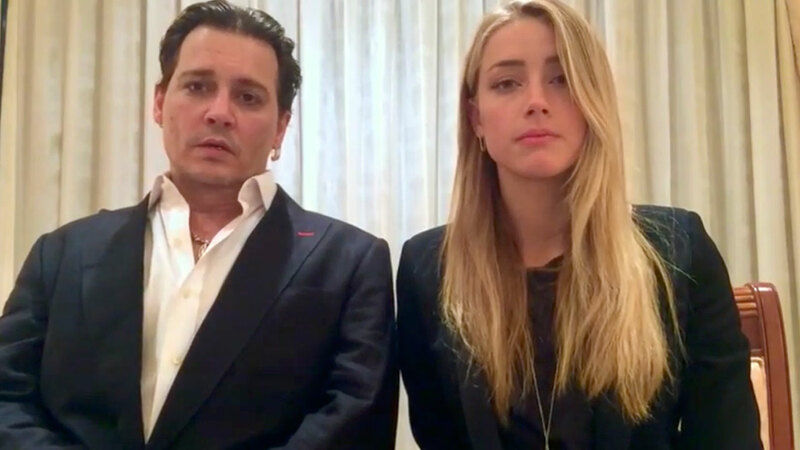 Moor rejected Heard's request that Depp attend a year's worth of anger management classes and the protective order extend to their dogs. Heard's filing states the May fight was preceded by an incident in April in which the actor skipped her birthday party and showed up later high and drunk and pushed her to the floor. After that incident, Heard wrote she did not see the actor for another month. The filing came five days after Heard filed for divorce. Depp's attorney, Laura Wasser, declined to comment. Depp is in Portugal for a performance with his band Hollywood Vampires. Wasser wrote in a court filing that Depp was out of the country and would agree to a mutual stay-away order. She contended that Heard's filing, along with requests for financial assistance from the actor "appears to be in response to the negative media attention she received earlier this week after filing for divorce." Heard's divorce filing cited irreconcilable differences and saying the pair separated the day before. She is seeking spousal support from the "Pirates of the Caribbean" star, but Depp's response filed Wednesday asked a judge to deny the request.